We offer scheduled consults for new and current patients. We ask that if you are a new patient that you try to come in at least an hour prior to closing to make your first purchase. We want to make sure we can give the proper time and attention. Do you know you qualify for your medical cannabis card but don’t know how to get the process started? We can help with that! We help process the paperwork and explain all the steps you will need to be approved. Call for appointments and any questions. 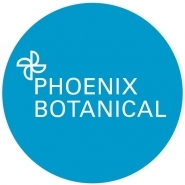 Phoenix Botanical of Champaign, IL is dedicated to providing superior patient care by using best practices in all aspects of medical cannabis distribution.